India is one of the top developing countries with an emerging market potential for new businesses. According to the latest available Govt. of India Ministry of Corporate Affairs report 2015, there are 98,473 new companies registered in 2013-2014 financial year in India. While some choose to embark on their entrepreneurial journey right after college, others wait to gain some work experience before putting their own venture. Starting a business or wanting to start a business may look easy, but it requires a great deal of endurance to sustain in the market initially. According to a report by NASSCOM in 2015, 9 out of 10 startups fall through closure every year. But for those who survive, the awards and recognition for being a successful entrepreneur makes it worth the trouble and hard work of getting past all the obstacles on the way to success. If you think you have what it takes to be an entrepreneur, here is a step by step guide on how to start a new business. 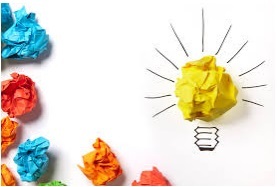 Brainstorm Ideas: Every business starts with an idea. Maybe there’s something you’re really knowledgeable and passionate about, or you think you have found a new way to fill the gap in a particular industry. If you don’t have any ideas to start with, choose an industry or sector which you are interested in and passionate about. Understand the actual day-to-day business operations in this sector by observing closely. Once you have your idea, look for existing companies in your chosen industry. Research trends and technologies of market leaders, and if you think your business idea can deliver better results that others can’t, then you have got a business idea. 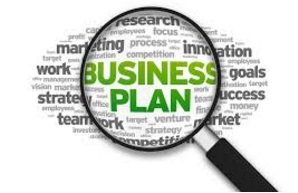 A business plan is a formal statement that explains the purpose of the business and your plans to achieve the stated goals. Here are the critical questions you should ask yourself and answer when creating a business plan. 1) What is the purpose that your business exists to satisfy? 7) What are the economics of your business? 8) What will be your most effective marketing and promotional strategies? 9) How much money is required to get your business started and generate revenue? 10) What needs to happen to break even? According to a Ministry of Corporate Affairs report, 65 per cent of companies had authorised capital of less than or equal to Rs. 10 lakh each, whereas only about 2 per cent of the entities had authorised capital of above Rs. 10 crore each. Estimate your startup costs by using online startup finance calculators. You will be able to find out both the fixed and variables costs of your business. These costs will vary depending upon your type of business structure. Government of india has different entrepreneurship encouragement schemes where you can get subsidies on loans and tax benefits. Before registering your company, you need to decide what kind of entity you want to start with. Your legal business structure affects everything from the taxes you pay to personal liabilities if something goes wrong. Each of these business structures has its own advantages and disadvantages. To become a legally recognized business entity, you need to register it with the government. 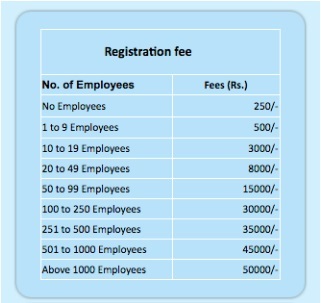 The registration fees for registering a business as a sole proprietorship in Bangalore depends upon the number of employees.